The distillery was founded in 1856. The site was chosen because of the limestone springs on the property, which is important for the production of whiskey. Today, the property is on the National Register of Historic Places as the oldest, continuously running distillery on its original site west of the Mississippi River. 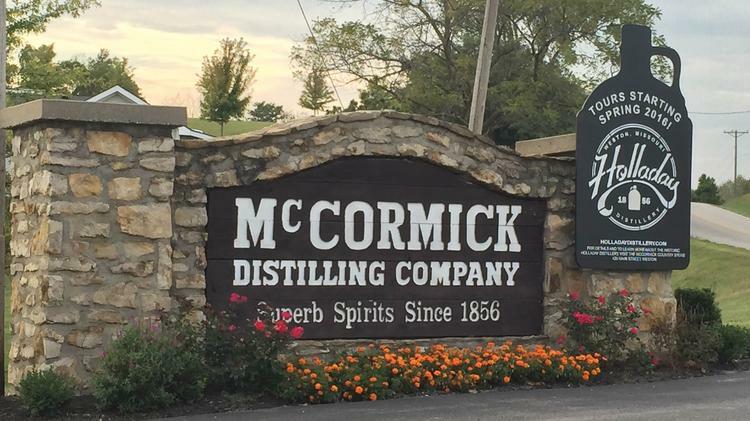 The facility produced whiskey for about 130 years, but in 1985 the owners at the time moved whiskey production to another facility that could manufacture the bourbon more cost effectively. Now, the new owners are resurrecting the operation by installing all new machinery to once again produce whiskey. They plan on using the same water, locally produced grain, and processes used when the distillery was originally founded. The bourbon isn’t set to hit stores for another three years, but I’m excited to taste the revived drink.